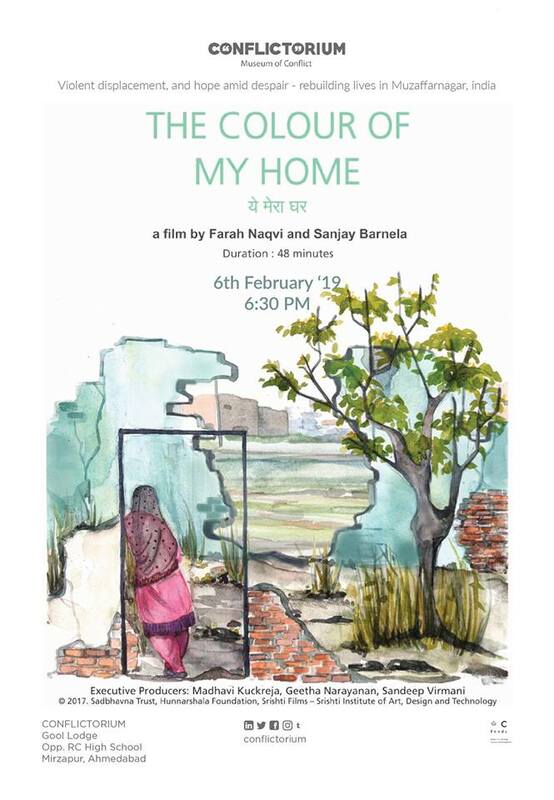 The screening will be followed by a discussion with one of the directors, Farah Naqvi. Bring your friends and spread the word!! Sanjay Barnela, based in India, is the founder of Moving Images, a team of documentary filmmakers and academics, making a range of award-winning films over the last twenty years; many are in the niche area of rights-based conservation, at the political interface between the environment, livelihoods and local communities. His body of work was recognized by the CMS VATAVARAN Prithvi Ratna Award (2014). In 2012, Sanjay joined the Srishti Institute of Art, Design & Technology in Bangalore, where he heads Srishti Films, a centre dedicated to teaching professional non-fiction film making. Farah Naqvi, an alumnus of Columbia University, is a feminist, writer and activist from India. Her work spans a range of media and locations – from remote villages to public policy spaces (including India’s National Advisory Council, 2010-2014). She has authored two books – Waves in the Hinterland (2007) about Dalit women journalists and Working with Muslims: Beyond Burqa and Triple Talaq (2017) about how the voluntary sector engages with India’s largest minority. She works on gender, caste, and minority issues, towards justice, democratic rights and freedom from violence. For nearly two decades, she has worked on hate-based violence and internal displacement. Producers© 2017| Sadbhavna Trust, Hunnarshala Foundation, Srishti Films – Srishti Institute of Art, Design and Technology.